Area:Land 200 km². Freshwater 0 km². Exclusive Economic Zone 390,000 km². Terrain: Volcanic islands with rugged peaks and limited coastal plains, two coral atolls. Climate: Tropical marine, moderated by southeast trade winds; annual rainfall averages about 3 m; rainy season from November to April, dry season from May to October; little seasonal temperature variation. Geography: Five larger volcanic islands and two atolls (Rose Island and Swains Island). Economy: The most important industry is the tuna canneries. Canned tuna accounts for majority of exports. With the advent of the pole-and-line fishery in the Pacific, baitfish culture was initiated in American Samoa. 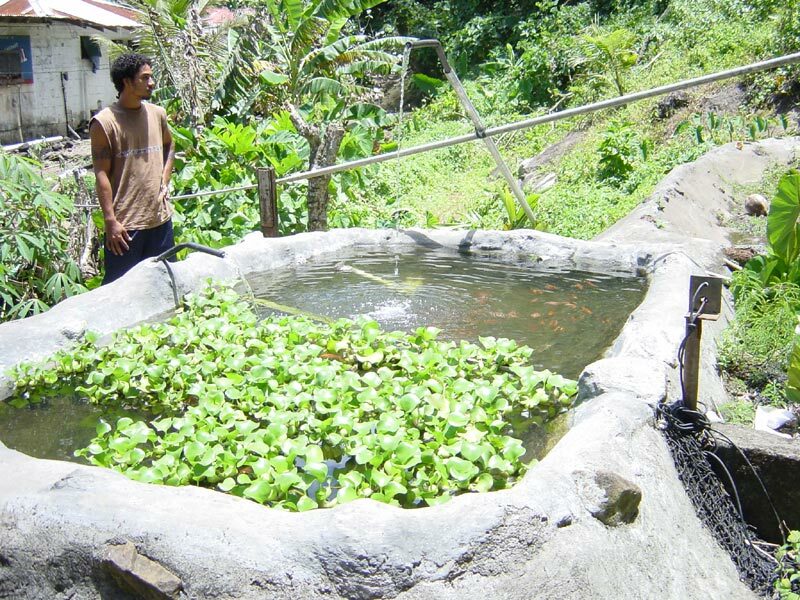 A demonstration hatchery and grow-out ponds were constructed. The molly Poecilia mexicana and P. vittata were cultured for live bait. Production reported was 2.0 - 2.5 million bait-size mollies between 1977 to 1978. Several problems encountered during the culture trials made the activity unfeasible. Tilapia was introduced between 1950 and 1960 from Samoa (formerly Western Samoa). The objective for its introduction was for the enhancement of inland fisheries. Giant clams were produced at the Department of Marine and Wildlife Resources hatchery to supply private farms established by the department as well as a pilot export project. Broodstock were purchased from Palau. Most private farms are no longer in operation. - High interest in fresh fish products. - Utilisation of the local source of fish-meal (byproduct of canneries). Tilapia is farmed as a backyard family activity and harvested for local sales. There are approximately sixteen tilapia farmers on Tutuila and one in the Manu'a islands. 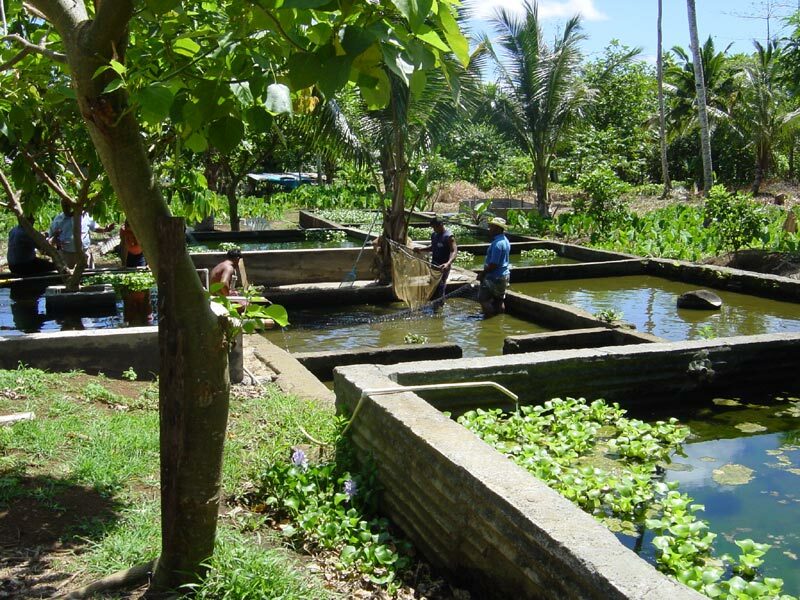 Of those, nine are registered members of the Samoa Family Sunfish Tilapia Cooperative. The cooperative was formed in Fall 2002. It is likely that the co-op will grow in size in the coming years as tilapia production increases. The diversification of candidate species for culture on Tutuila exemplifies the potential American Samoa has to offer aquaculture production facilities. Currently, the major species cultured in American Samoa is the Fijian Nile tilapia (Oreochromis niloticus). The culture of giant clams (Tridacna maxima), Pacific Threadfin or Moi (Polydactylus sexfilis), and mangrove crab (Scylla serrata) are expected to begin in late 2006-early 2007. The success of such operations will hinge, in part, on the technical assistance and collaboration of the aquaculture industry with the University of Hawaii Sea Grant College Program, based at the American Samoa Community College (ASCC).